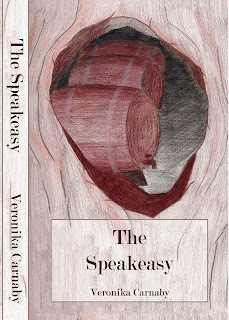 Veronika Carnaby is proud to announce the official release of her novel, The Speakeasy, available for purchase on Amazon, and Kindle. To order your copy of The Speakeasy today, please follow the respective links. Don't miss out on Carnaby's highly anticipated action-packed novel, in which she returns to the era drowned in the shadow of the Great Depression and dominated by outlaws wreaking havoc against a dry society. The story introduces long-lost pals, Norman Delaney and Henry Berrings, who attempt to rekindle their friendship and repair their broken lives by unveiling a saloon in the heart of 1930s New York City. Met with sin, crime, desperation, and betrayal, their efforts test the limits of morality and piece together a story of endurance in the face of struggle. The book sees Carnaby continuing in the trace of historical fiction, but adds elements different to that of her debut novel, Bohemia. "The forthcoming book will offer readers quite a different story and style from that of my last book," the author expressed in a recent statement. "While history remains a prevalent component, it also falls under the action/adventure and crime genres, making for what I hope to be a powerful and exhilarating story for readers." The Speakeasy will be available for purchase worldwide on Amazon and in select bookstores. About the author: American author and poet, Veronika Carnaby, possesses a vintage charm that transcends well into her written works. Recognized for her Beat-style prose, her pieces have garnered international recognition after appearing in such publications and functions as The Ed Sullivan Show blog, SESAC Magazine, SXSW, Dan’s Papers Literary Journal, and the SESAC New York Music Awards, among others. Her debut novel, Bohemia, was published in 2012 to positive reception worldwide. Whether penning poems, short stories, or novels, Carnaby infuses her writing with a poignancy and passion for the written word.